Construction began in 1998, with the bridge opening in June 2000. However, it was closed just hours after opening, when, due to an effect called synchronous lateral excitation, it began to sway and wobble. It opened for another two days, for a limited time, before being closed while engineers worked on the problem. Beginning in May 2001, engineers fitted 37 fluid-viscous dampers and 52 tuned mass dampers, which countered the effects of the oscillations, with works completed in January 2002. 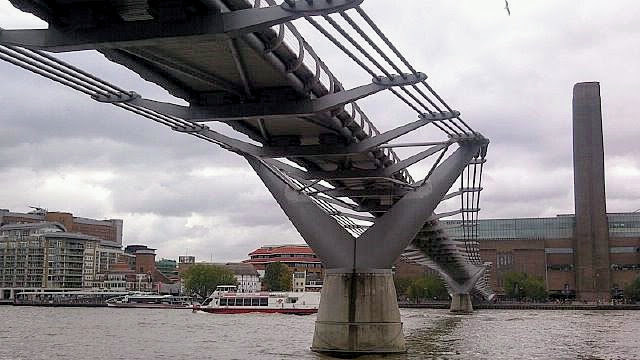 The London MillenniuM Footbridge finally reopened on February 22, 2002.